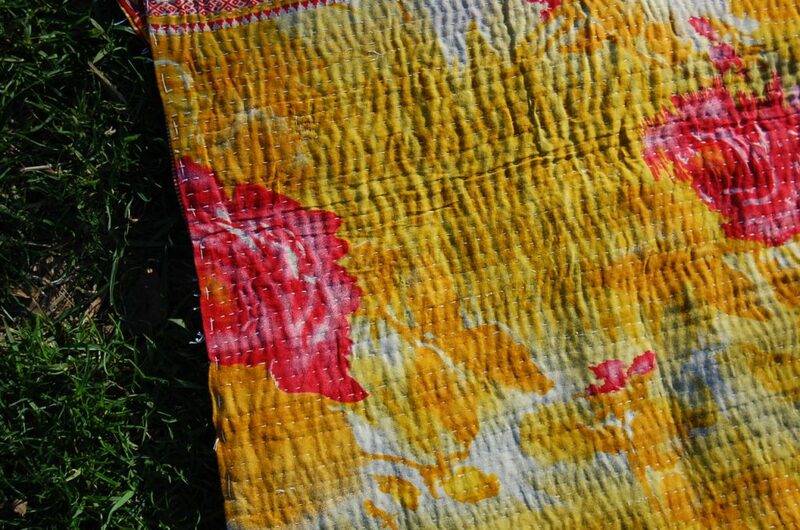 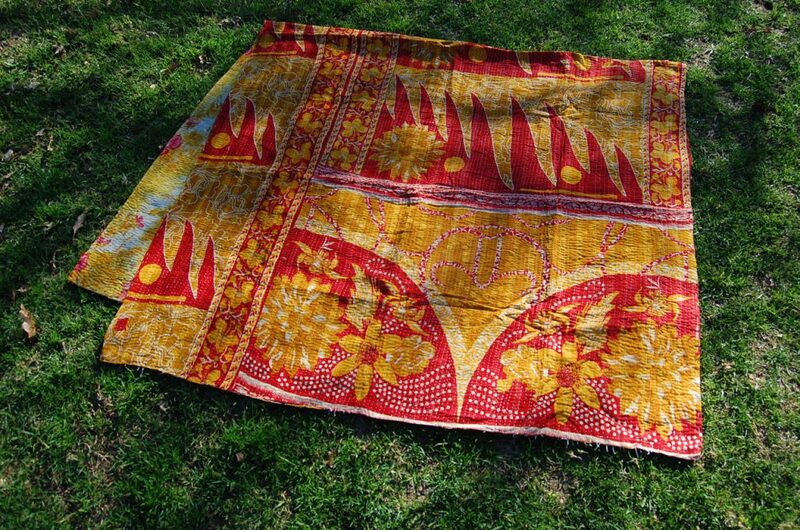 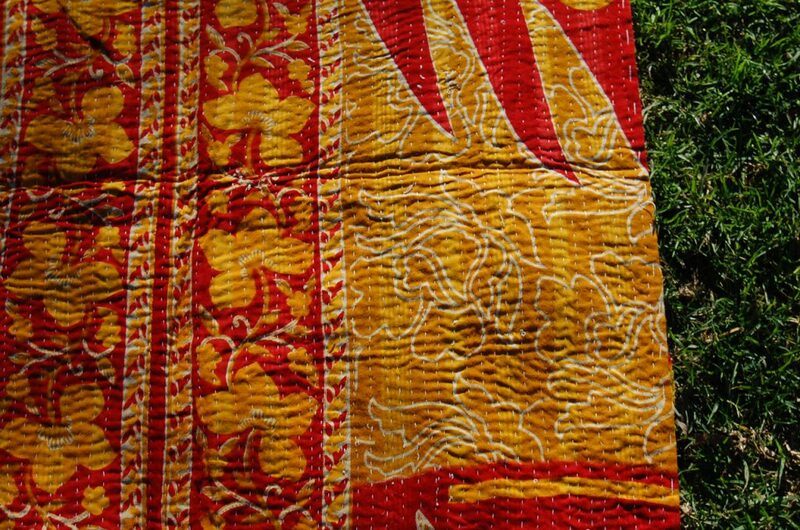 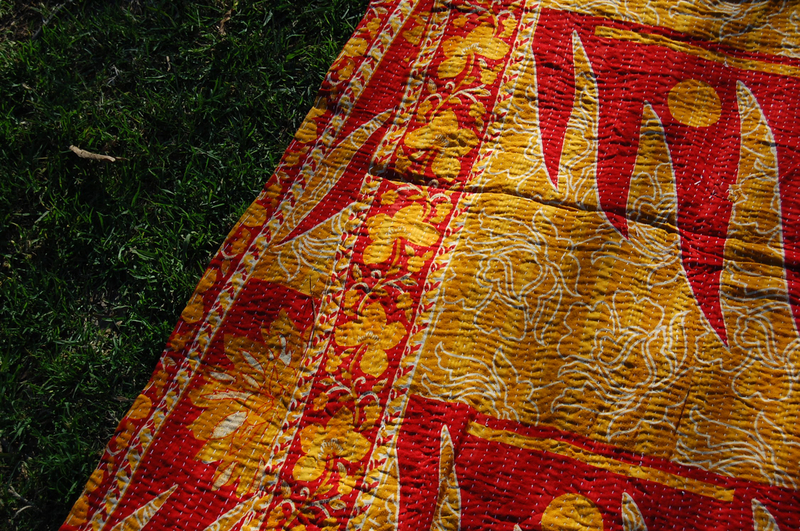 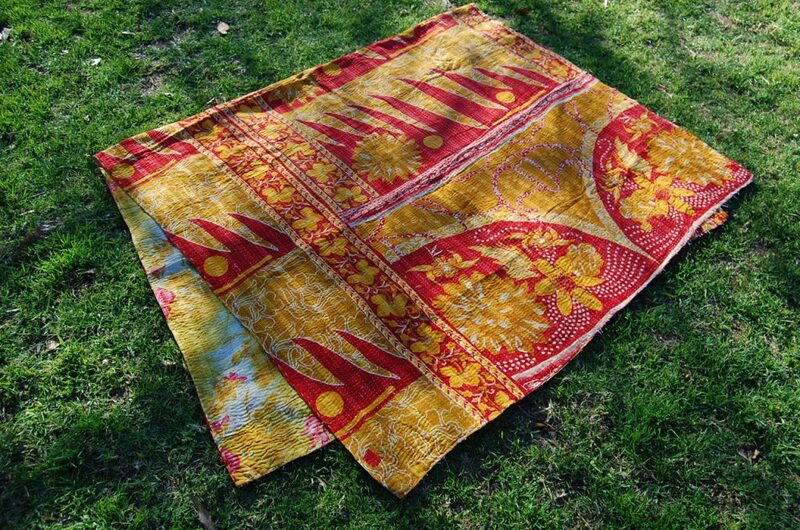 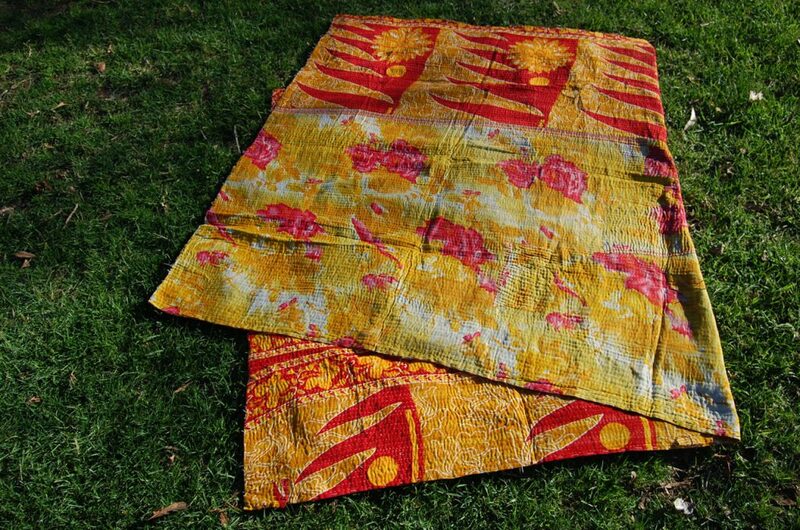 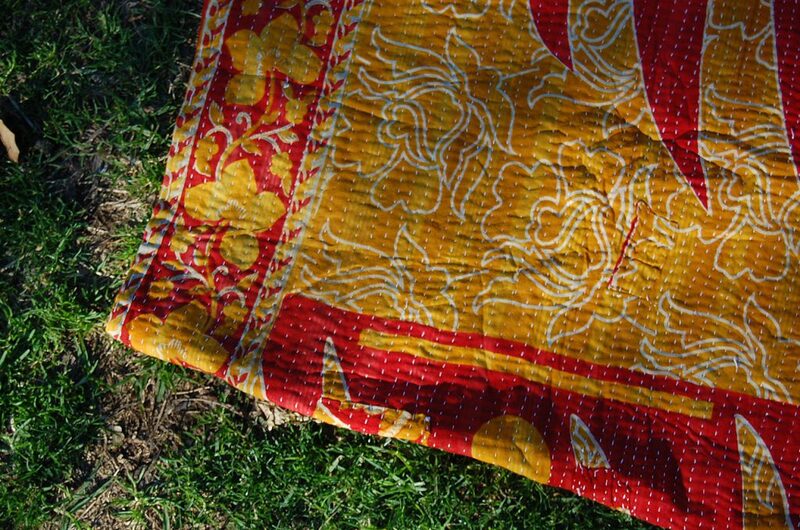 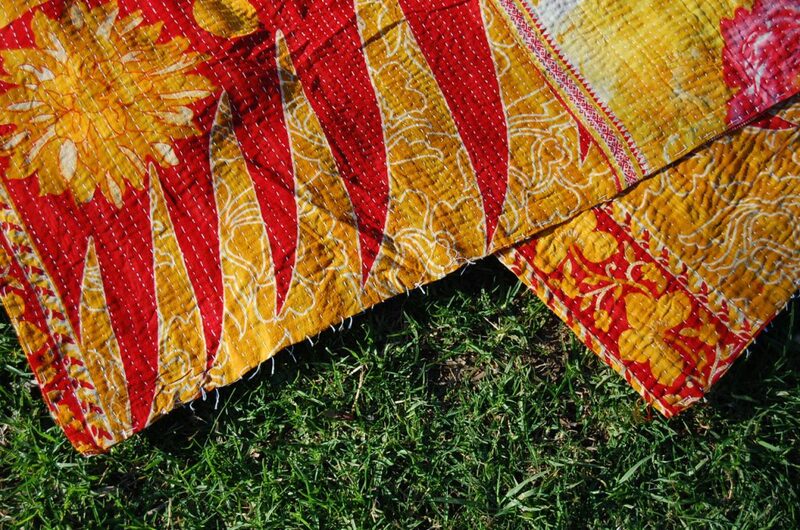 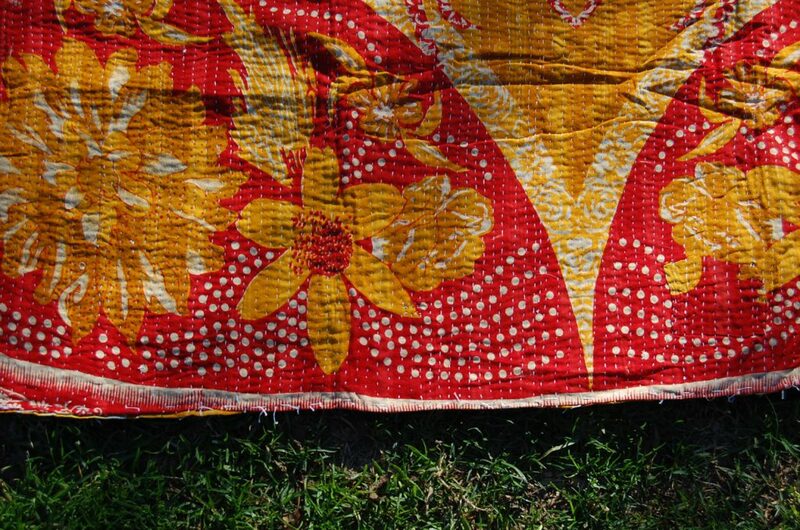 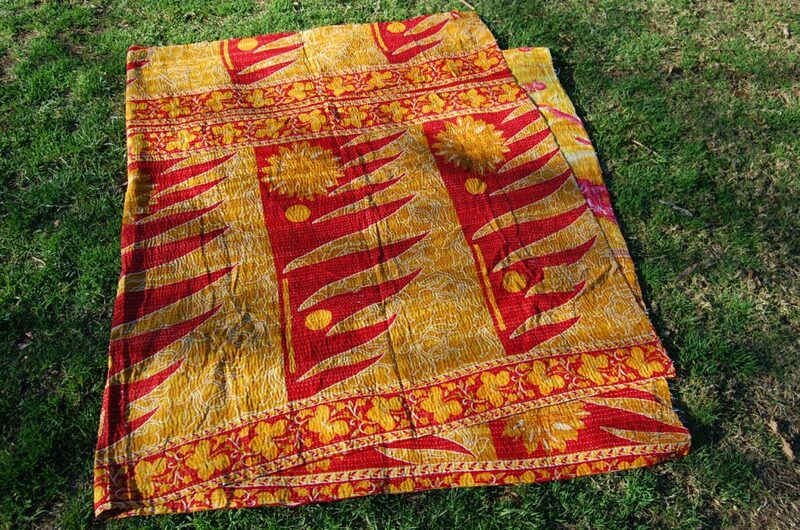 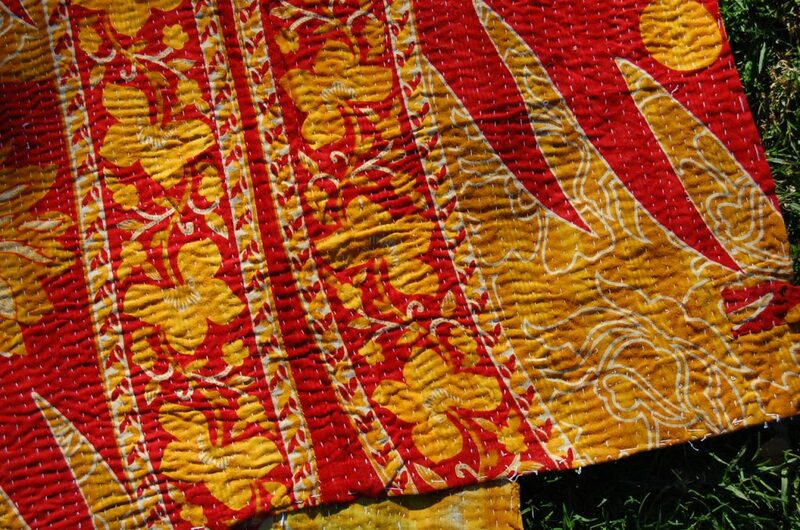 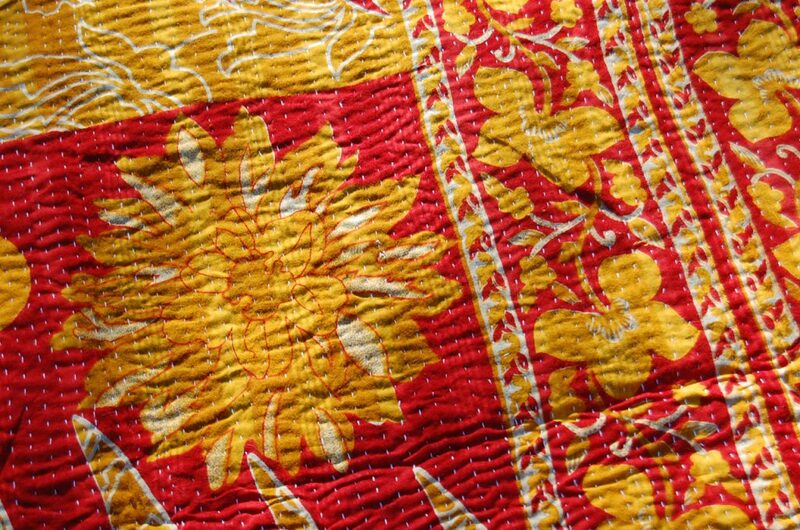 If you love golden hues of yellows and reds and all the in between, then this is the quilt for you. 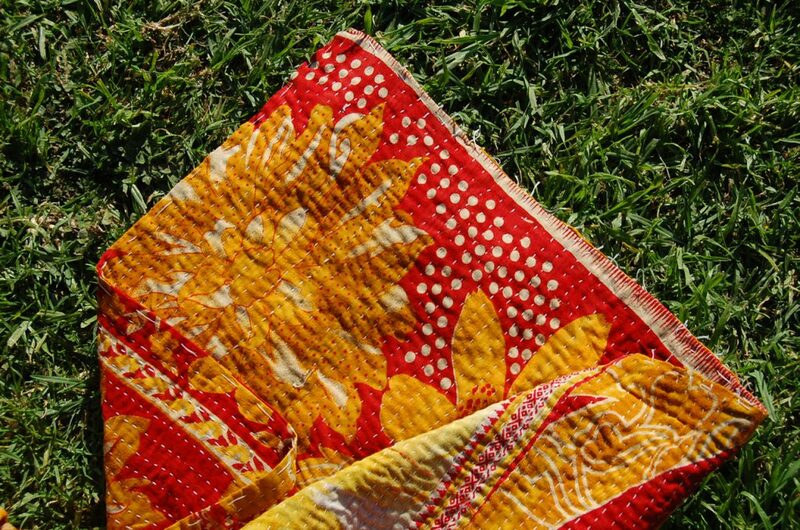 It has to be one of the most beautiful cotton blanket throws in this colour scheme I’ve seen. 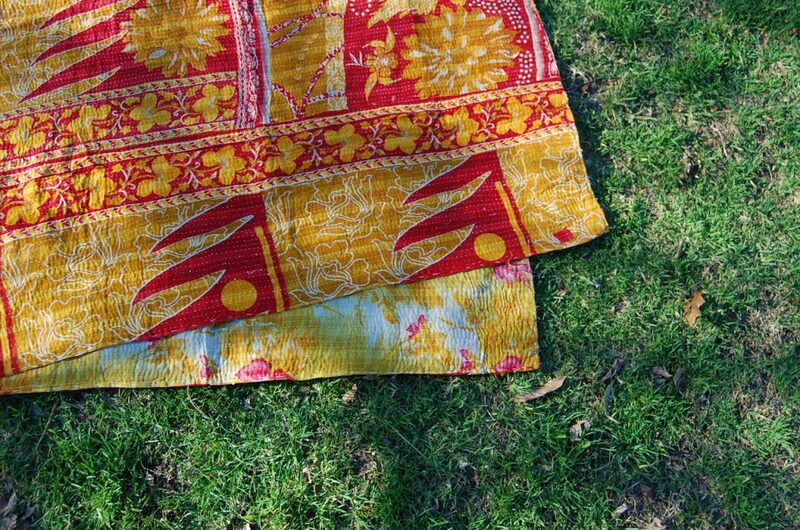 The textile print throughout is varied, almost clash-y but if you’re like me you find it exciting and really quite complementary. 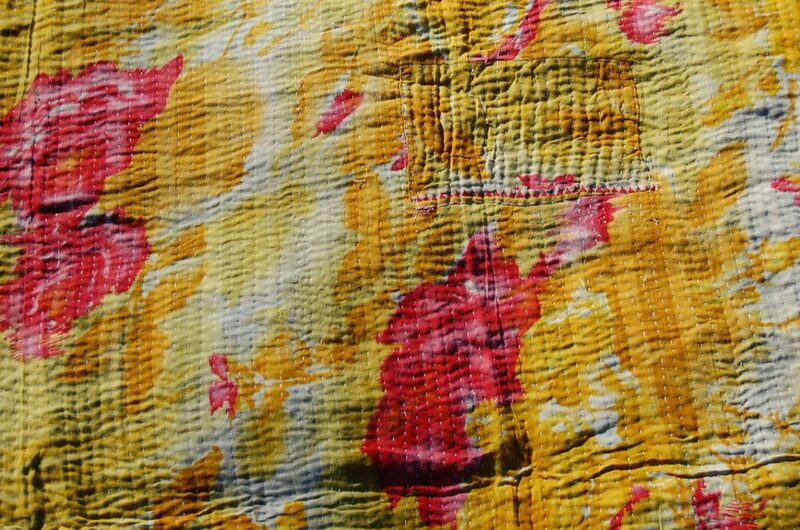 Meninder is alive – so rich with colour and passion!